To make your Hocking Hills getaway as “carefree” as possible, we tried to think of everything you could possibly need for your Escape to Hocking Hills. Except for clothes and food, we’ve fully equipped our cabins with all the comforts of home, and then some. So don’t worry about missing out on anything if your favorite cabin is already booked. 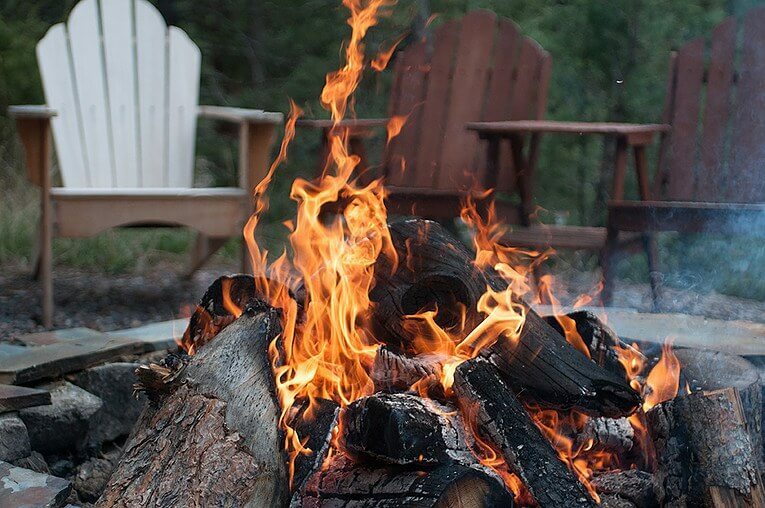 With Carefree Cabins log cabin rentals in Hocking Hills, you’ll get the same great features, amenities, comforts and conveniences no matter which cabin you book for your Hocking Hills retreat. New in 2018, Carefree Cabins is proud to offer an adorable “tiny cabin”, the Snuggle Bear Bungalow, for those eager to try out the latest craze in small cabin living. Also new in 2018 is our Lovebirds Landing cabin which is sure to become a bird-lovers favorite! Conveniently located close to all the Hocking Hills State Parks and other local area attractions. Click here to learn more about Creekside Serenity. Hidden Gem Retreat is a thoughtfully furnished lodge-themed cabin designed to ensure you feel pampered and fully relaxed while away from home. Tucked away on a beautiful 2.3 acre wooded hillside, yet conveniently located close to the Hocking Hills State Parks and other local area attractions. The Hidden Gem is nestled among beautiful smelling trees and surrounded by wildlife. 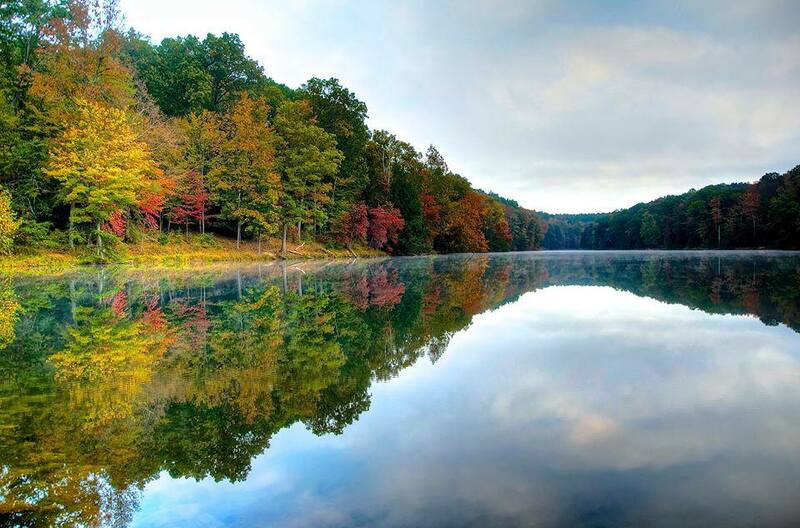 During your stay you can expect to enjoy the peacefulness, serenity, and beauty the Hocking Hills area has to offer. This cabin was designed with your comfort in mind, and offers amenities that are sure to delight. Click here to learn more about Hidden Gem Retreat. Brand new in 2018, Lovebirds Landing is our bird-themed log cabin which is practically an open aviary of native birds! The cabin is perched high atop a hill with a beautiful backdrop of clear-cut rolling hills, fields, trees & foliage. A bird and nature lovers paradise! Click here to learn more about Lovebirds Landing. Sandstone Oasis, our fish-themed cabin, sits atop a wonderful wooded hill with beautiful scenery all around. You’ll be surrounded by Hocking Hills sandstone that is part of the natural landscape, and enjoy a peaceful babbling creek just beyond the front of the cabin across the road. Enjoy the sounds and serenity of nature that are all part of your escape… Conveniently located just a few miles from the Hocking Hills State Parks and other local area attractions. Click here to learn more about Sandstone Oasis. Brand new in 2018, Snuggle Bear Bungalow is our bear-themed “tiny cabin” and it’s simply adorable! Prepare to snuggle up and get cozy. 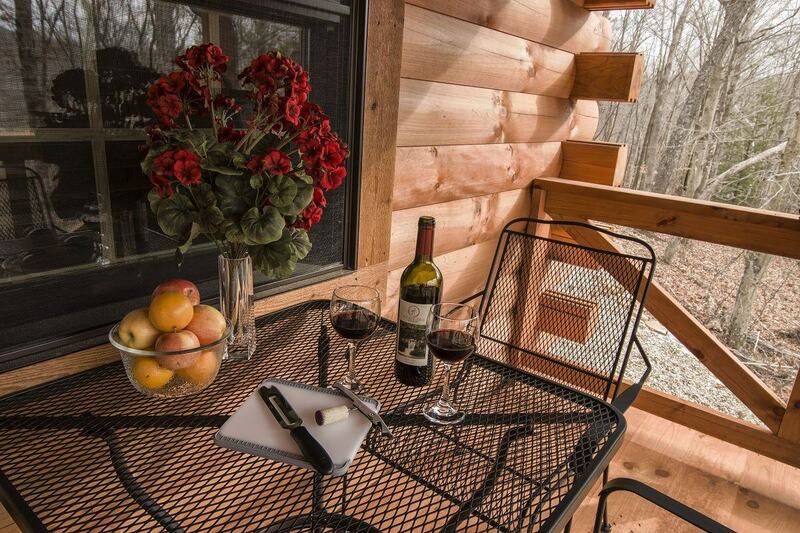 This cabin is very small & compact, yet well appointed with everything you need to enjoy your escape to Hocking Hills. Click here to learn more about Snuggle Bear Bungalow. 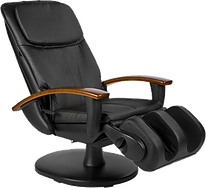 (available in Sandstone Oasis and Creekside Serenity cabins. "Love the Place, Awesome! You included EVERYTHING! ​ Thank You Very Much!" "This cabin is absolutely amazing! The Hidden Gem is a beauty w/awesome details. Also the cabin was very clean & ready to be lived in." "We loved our time at your cabin. The cabin was a wonderful blessing for us to spend quality time with our daughters. We were delighted with the serenity of your beautiful cabin and the memories we made here. The games you provided were such fun for us to play and we are leaving more bonded than before." "Wow! Staying in your cabin has been thoroughly enjoyable! You captured all the luxuries one could ask for. It was absolutely perfect!" We Also Offer Floral Arrangements and Gift Item Add-Ons. Learn More! Location of cabins, along with detailed driving directions, will be provided via email (or phone) prior to your scheduled visit. Book today!